We are wrapping up the week here with some great words from one of today’s brightest stars on the rise. That star is Adam Ambruso, and we love him. Last year, he appeared in the amazing and harrowing film Trafficked, which featured the likes of Ashley Judd, Sean Patrick Flannery, and Jason London. And not only that, he was also an executive producer on this incredible, and dare I say important, project. Ambruso is a man who has worn several different hats in his career thus far, and we firmly believe that he is only just getting started in this business. With each and every project he puts out or appears in, he is simply cementing his deserved status as one of the best in the game. And we are so excited to continue following his wonderful career, and seeing what he will graciously give to the world next. So, let me stop rambling, and let you all enjoy some amazing words from the great Adam Ambruso! What drew you to the world of acting? When did you first realize you wanted to play pretend for a living? I always wanted to act and talked about it as a child. This desire became real when I took my first drama class while attending The University of Texas at Austin. 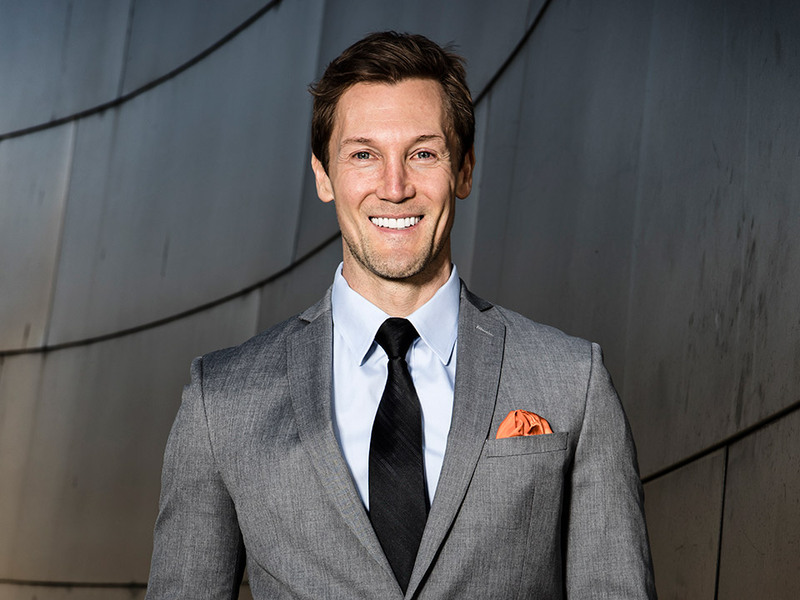 Being a “latchkey” kid reared by a single mother, I was raised largely by television shows, movies, and music so there were countless actors and moments that inspired me to become an actor. I definitely resonated with Tom Cruise, Burt Reynolds, Al Pacino, Clint Eastwood, and Harrison Ford and their stories growing up, as well as countless others. However, my drama professor at UT really had the greatest influence on me taking the plunge into acting in Hollywood. One day in class he asked me to stay after so that he could talk to me. In that meeting he said pensively, “I’m not sure, but I think you might want to consider this as a profession”. That’s all I had to hear. I decided right then and there that I was going to move to Hollywood and make that a reality. 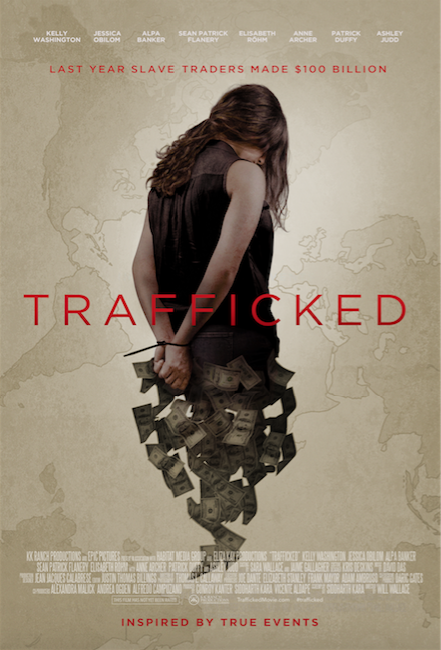 One of the latest films you both performed in and executive produced, is the amazing and controversial Trafficked that I have heard so many amazing things about throughout 2017. So what drew you to work on and produce this project? What inspired you to help create this project? That’s an interesting question. I’ve been asked that many times because of the subject matter. Honestly, when looking for projects my main objective is to find a great story, but I also have a strong desire to leave a positive imprint on this world and send impactful messages through my work. However, I believe the script finds you. That was definitely the case with “Trafficked”. My producing partner and mentor Will Wallace dropped it on my desk and asked me to give it a look and see if it moved me. Well, it definitely did that and more. I was saddened and enraged that such a terrible and disgusting human rights violation could be happening right underneath our noses. I felt that I didn’t really have a choice whether to make the film or not. This film had to be made, and I was going to see to it that it did. Another recent project you worked on is Manny Rodriguez Jr.’s Butterfly Caught, which also features our old friend Dominic Bogart, looks to be absolutely fascinating. So, again, what drew you to this project? And what should our readers be looking forward to watching you do in this film? I like Dominic a lot although I didn’t get to directly work with him, unfortunately. We were on set the same day but were in different story lines. My acting coach and mentor Will Wallace brought me this project as he often does. He let me know it was a Hollywood story and that he normally didn’t like stories about Hollywood, but that this one was different. As usual, he was right. I felt that the story was relevant and needed to be told and that the subject matter was important. The characters were rich and interesting and had depth. Right away I resonated with the character of Randy and knew that I had to play that role in the film. This began a long battle of me fighting to play that role. It was the first time I took some big risks and really put things on the line to get a role. The story of how I finally got the role is almost as interesting as the role I had in the film. That will be for another time. Here’s what you can expect to see when you watch the film. After tragically losing his fiancée, Randy becomes a cop in an attempt to avenge or “right” her death and ends up getting tangled in a sticky web on his way to the top of his career. When your off set, and find yourself with that occasional bit of “free time”, what do you find yourself doing to occupy your time? Beyond the world of film, what makes you happy? When I’m not on set, I am really trying to enjoy all life has to offer. I work a lot at this stage of my life. I am building a new house in the Hollywood Hills, managing several rental properties, and run a couple of businesses. When I’m not working I love to watch films and listen to music as well as play my guitar and sing. I love all things athletic…from hiking to lifting weights to Snow boarding, which is my favorite thing to do. I would be remiss if I didn’t include spending time with my family, friends, and that special someone whenever I am in a relationship. This year I filmed the Great Race starring Treat Williams and a movie for Lifetime called Who Took My Daughter, both of which will be out this year. I am currently gearing up to play my most difficult role yet, which is the lead role in a true life story of a real savant that is alive today. I also plan on playing the lead role in the big budget super hero film that I am writing with my writing partner called 13: The Search For Peace. That last thing that made me smile is when my buddy Griff Furst just told me over the phone that he goes to auditions and pitch meetings sweaty immediately after running sprints or working out. I think that’s just plain awesome.